This appears to be another incomplete show, Gypsy ends abruptly and there is no encore. The missing songs should include Love Machine and Rock N' Roll Medley. 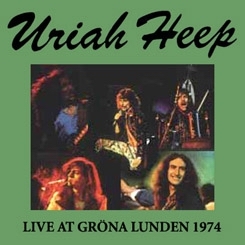 The Medley was played from May 3rd, 1972 in Munster through Gary Thain's departure from the band with very few recordings we've located during that period not containing it. Considering the rigidity of the tour set lists, it seems possible that most the missing versions can be accounted for by the time limits of recording media used. Love Machine remained in the set list an even longer period of time, showing up as an encore even during John Wetton's tenure in the band.